Everyone has probably had their share of ordinary stomach aches. It’s annoying and painful, but you know that sooner or later it will pass. It’s most-likely something you had for lunch, you say and dismiss the subject. Severe stomach pain, though, is another story. Thankfully, most people don’t experience excruciating abdominal pain. But those who do know that the pain is anything but manageable. Severe abdominal pain that comes suddenly can be a sign of emergency , says NHS Inform. You should, therefore, call your doctor or 911 immediately. Another warning sign warranting medical attention is intense pain. If you have intense abdominal pain, get medical help right away. The good news is that in most instances, medical attention isn’t necessary and the pain will pass even if you don’t do anything to assist it. Also, for mild abdominal pain, over-the-counter medication does a fine job in helping alleviate the symptoms. So no need to get worried. 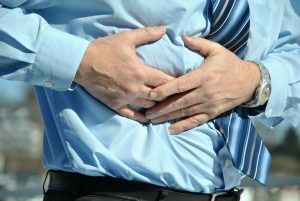 Do you often suffer from stomach pain?